They rarely forgive their enemies. Rarely do they forgive their enemies. They seldom slept in the afternoon when they were children. Seldom did they sleep in the afternoon when they were children. She never watches soap operas. Never does she watch soap operas. She bought the lipstick only after she had tried it. Only after she had tried the lipstick did she buy it. She recognized the man only when he came closer. Only when the man came closer did she recognize him. I can make a decision only then. Only then can I make a decision. His best friend goes out only at night. Only at night does his best friend go out. I have not only eaten snails, but I am also not going to eat them. Not only have I eaten snails, but I am also not going to eat them. I can hardly (scarcely / barely) understand Maths. Hardly (scarcely / barely) can I understand Maths. She had no sooner come in the house than it started to rain. No sonner had she come in the house than it started to rain. She knows little about this field. Little does she know about this field. 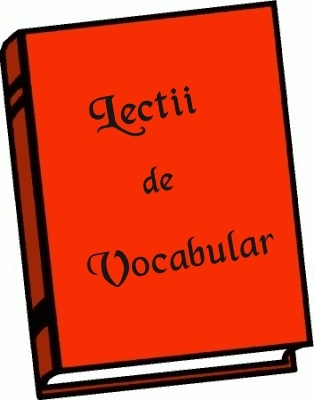 ‘So + adjectiv … combinat cu verbul ‘to be’. The exam was so difficult, that few students passed it. So difficult was the exam that few students passed it. Such was the weather that we couldn’t get out of the house. If he had come to the party, I would have left. Had he come to the party, I would have left. If I were there, I would try to do something. Were I there, I would try to do something. If he should happen to come, give him this book, please. Should he happen to come, give him this book, please. She was rarely allowed to go on trips when she was a child. She recognized him only when he took off his mask. The baby’s mother had hardly put him in the buggy, when he started crying again. If it should happen to rain, take the laundry into the house, please! I have never dreamed about such an exciting holiday. My mother does not only like talking with people, but she also likes having guests. Hei! Multumim de explicatii, sunt foarte bune. Dar, am o intrebare, la toate adverbele de frecventa facem inversiunea sau doar la cele mentionate in postare? Buna. De ce facem inversiune imediat dupa only in ‘not only did she…..’ dar abia in principala in ‘only when she arrived did she…’? Pur si simplu asta este regula.